“Don’t think I ignore these false prophets, who spew forth lies that entrap My people. The greater judgment is upon those who claim to speak for ME. As I was meditating on that, straightaway the word of the Lord came and it came at 9:00 am and it’s regarding the false prophets in America. In the first part of the vision, I saw a scroll with seven seals, and the first three seals were already broken. In the second part of the vision, I saw Pope Francis kneeling before me as though in prayer. He was in a hall that looked to be ancient in design. Behind him, the hall dropped off into great darkness. On January 10, 2017, I had a very strange dream. I feel there is something to this but it is certainly full of symbolism and will take a lot of prayer to determine what the interpretation is. I dreamt I was working for the Pope. I wasn’t part of the clergy, but was part of a work crew that helped organize events; setup, takedown and security. About a week ago I had my first ever vision regarding the Pope. It took place around 1:00 am. I saw the Pope surrounded by many people. They were old and young, male and female, but there were no children present. Everyone (excluding the Pope) was dressed in royal blue attire. As they encircled him, the people began reciting what we know as the Lord’s prayer (Matthew 6:9-13). 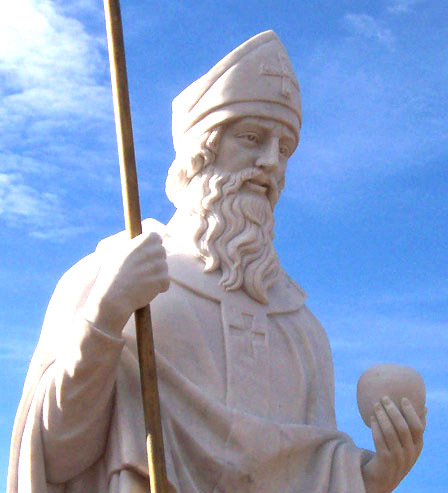 Malachy wrote the following prophecy about the 112th Pope. “In the final persecution of the Holy Roman Church, there will sit Peter the Roman, who will pasture his sheep in many tribulations, and when these things are finished, the city of seven hills will be destroyed, and the dreadful judge will judge his people. On September 17, 2017, I was visited in a dream by the same heavenly representative that normally is present in most of the prophetic dreams given me by the Lord. Starting at the 2-hour mark in the video shown below, prophet Sadhu Sundar Selvaraj made a shocking announcement regarding Pope Francis. The video was recorded at a live prophetic conference in Chennai India yesterday. The following provides a transcript. 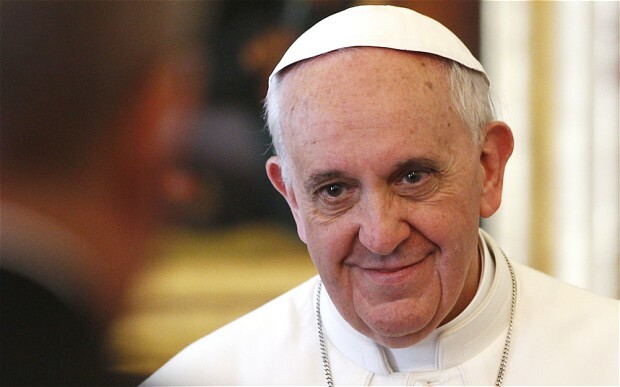 Since his first day in office on March 13 2013, Pope Francis has taken unprecedented actions to unify the religions of the world into one global religion, but his actions have brought division within his own flock. At least one Catholic leader in Colombia, talk show host Jose Galat, is calling him a false prophet who is paving the way for the antichrist. False prophets are among us, but often they are not the ones being accused of being false prophets. The real culprits are often the ones accusing others of being false prophets. In my previous posts, I shared how God has not revealed to me the identity of the false prophet, the second beast described in Revelation 13, but I identified the Pope as a strong candidate. That theory gained ground today with the following word from Sadhu Sundar Selvaraj, which he shared in Neville Johnson’s January 2017 newsletter. Sundar is an Indian prophet who accurately saw the 2016 Presidential election victory of Donald Trump as well as many other events. In a vision on December 12, I was carried by the Spirit to a large cave high up in the mountains. I saw a very large opening at the entrance of the cave overlooking a beautiful lake with tall mountains on the opposite side. There was something like a light mist or thin cloud covering the lake and mountains. The Lord encouraged me this morning to go back over what He has been saying to me in my journal. I received the following word on Tuesday 13th September 2016. I was shown Jeremiah 46. “Yes, My people will go into captivity. This is happening now across the world, but in Babylon, modern day America, this is happening on a large scale. I heard someone say the wisest prayer they ever prayed was when they asked God to bring correction in their own life wherever it was needed. It ranks right up there with asking for a spanking. Please just slap me upside the head because I know I need it. Thank you sir! May I have another? “For there is one God, and one mediator between God and men, the man Christ Jesus,” (1 Timothy 2:5). On a return flight from Africa back to Rome on November 30 2015, Pope Francis answered questions from reporters. In response to a question about fundamentalism and the recent terrorist attacks in Paris, he made some very disturbing remarks. The following provides the transcript of one of the questions followed by his answer. Philippine De Saint-Pierre, KTO (France): “Holiness, good afternoon, you paid homage to the platform created by the archbishop, the imam and the pastor of Bangui. Today more than ever, we know that fundamentalism threatens the entire planet. In his Angelus address at St. Peter’s Square on Sunday December 6 2015, Pope Francis made the following statements about the most important topic any of us will ever deal with, the eternal salvation of our soul. “The need for conversion applies to non-believers and believers alike. And salvation is offered to every man and every person without exception, to all of us. No one can say: ‘I am holy, I am perfect, I am already saved.’ No. We must always welcome this offer of salvation. When the disciples asked Jesus about the end of the age, He gave them a summary of end-time events. Amazingly, in His short teaching He warned three times about the dangers of being misled by false Messiahs and false prophets. If He had mentioned it once it would have been important enough to take note, but three times should put everyone on red alert! Despite a long list of freaky facts about Pope Francis, I have never been able to identify him as the False Prophet revealed in Revelation 13. I have shared many posts about him in the False Prophet category, but in each of them I was only able to call him a strong candidate. In 1971, Saul Alinsky wrote a book called Rules for Radicals. It became the guide book for communist organizers like President Barack Obama. With Pope Francis currently in the United States, it seems appropriate to share these amazing warnings about him from members of his own church. 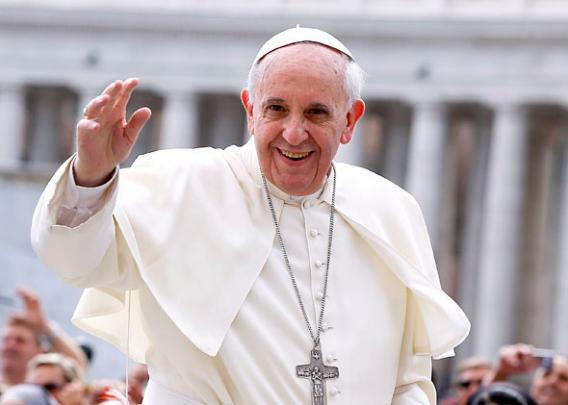 On 7 June 2011, nearly two years before Pope Francis took office, a Catholic ministry called Maria Divine Mercies (MDM) posted a blunt warning to fellow Catholics that the Pope who comes after Pope Benedict would not be from God. My Holy Vicar, pope benedict, needs your prayers. Pray for him daily for he needs protection on every level to take him through the torment that lies ahead. We’ve all heard about the mark of the beast, which is foretold in Revelation 13:16-18, but what about the mark of the false church? Although I have never heard of it before and have no scriptures to prove it is coming, I find the warning interesting and believable. In the following message posted on 17 April 2013, a ministry called Maria Divine Mercies (MDM) warned members of the Catholic Church to beware the coming mark of the false church. My Heart heaves as I have to endure the wretchedness and the suffering which the whole of humanity will have to endure. We can find new insights into what is happening next week on the day of atonement by looking at the scriptures about the two beasts appearing in the last days. Jesus warned us that when we see the first beast standing in the holy place, in the temple in Jerusalem, we should immediately flee to the mountains without even taking time to grab anything out of our house because all hell is going to break loose. Ancient prophecies are being fulfilled this month and every believer needs to understand what is happening because it will soon have a big impact on our lives. David Wilkerson was the founder and Pastor of Times Square Church in New York City. In 1973 he received a vision of the end-times. In 1974 he shared his vision in a book, “The Vision“. He also summarizes what he saw in the 52-minute audio message shown below. Excerpts from parts of the audio are transcribed in this post. 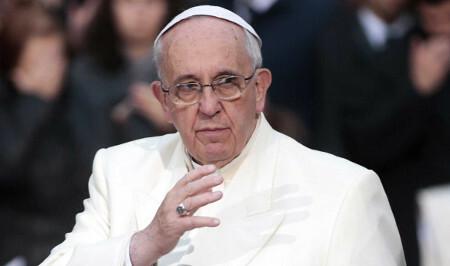 In my previous post I listed Ten Disturbing Facts About Pope Francis. Thanks to visitors to this site, I continue to learn about more disturbing facts. 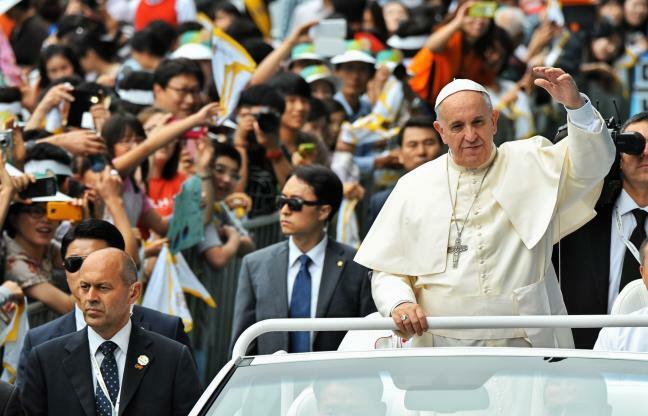 Recent public opinion polls by Pew Research Center show the whole world adores Pope Francis. His relentless outreach campaign to other religions with his all-inclusive message that everyone goes to heaven, including atheists, is resonating with almost everyone. 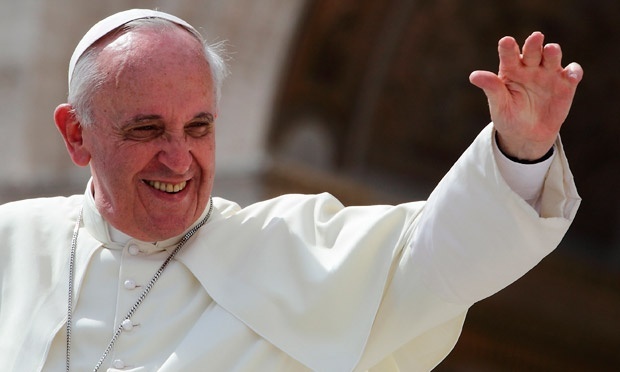 See my previous post: Pope Francis Claims Atheists Go to Heaven. There is so much focus on the antichrist that it is easy to forget there is also a second beast who will rule over the earth alongside of the first beast in the last days. In fact, the second beast, who is also called the false prophet, plays a very important role in upcoming events. For example, he is the one who requires everyone to take the mark of the beast. An 876 year old prophecy claims Pope Francis is the final Pope who will reign during a time of great trouble and the destruction of Rome. 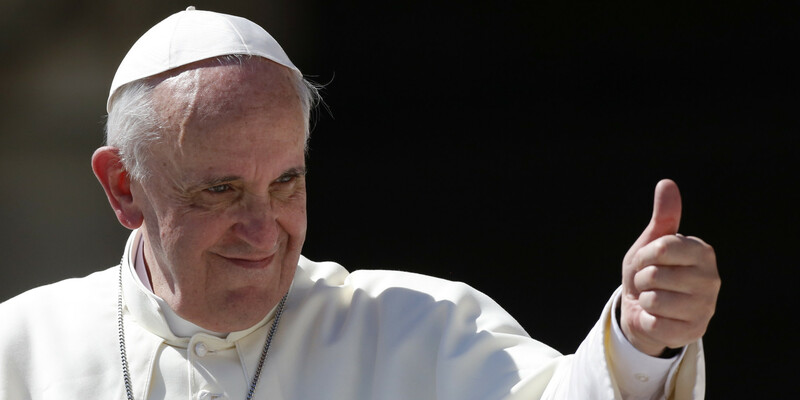 Two prophetic ministers have recently shared warnings to beware of Pope Francis.